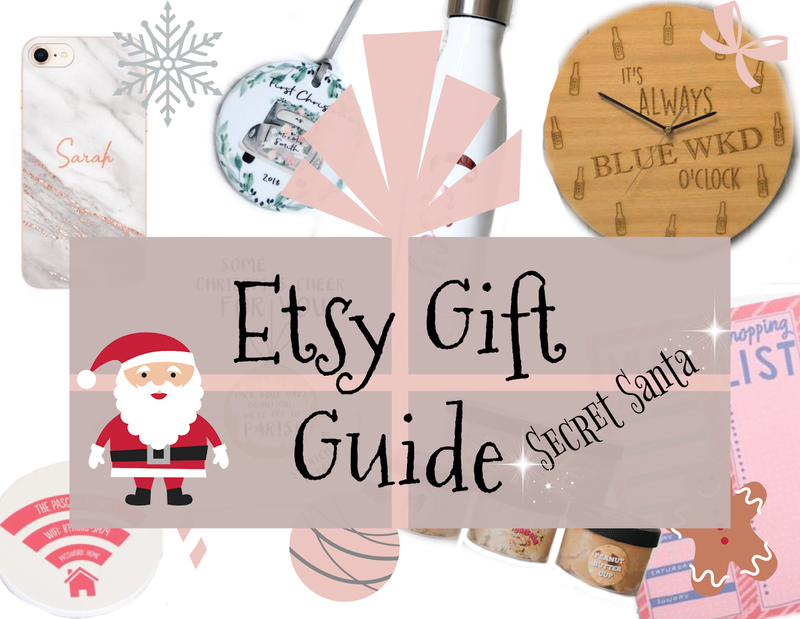 Last year I shared my Etsy Secret Santa Gift Guide and explained how I have very few people to buy for thanks to Secret Santas. I'm part of the usual ones like the work one and one with my besties but we've also got family ones too. From my husband's side I only have to buy for one person rather than 4, and then again on my side. We used Drawnames back in October and fast forward a month or so and I'm nearly finished. Etsy is one of the first places I head to thanks to their personalised gifts, massive variety and the chance to support small businesses. 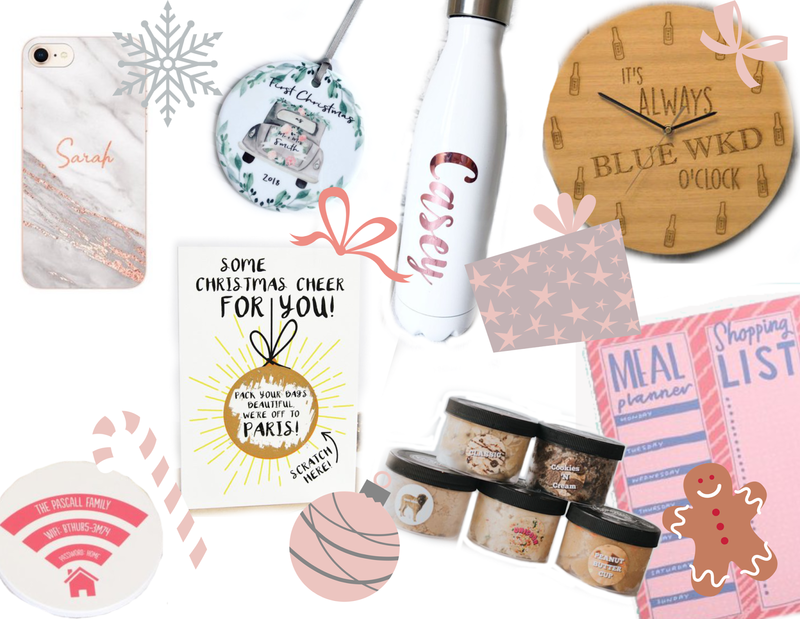 So if you've got some Secret Santas to buy for here's some of my top picks from Etsy. I feel like a phone cover is always quite a nice gift to receive... well only if they know what kind of phone you've got! I love giving and receiving personalised presents and this personalised rose gold phone case is ticking lots of the boxes for me. It's available for all sorts of phones from iPhone X like mine all the way to Nokias and Huaweis, it's less than £10 with free delivery and it's a stunning mix of rose gold and marble design. Very on trend. From one personalised gift to the next. This personalised Christmas tree decoration is giving me warm fuzzies, mostly because it's for a first Christmas as Mr and Mrs and that's exactly what this is for us. I love my tree to be full of personal baubles and ornaments that we can add to year on year for different reasons and it's really special to receive them from other people too. I'm not done with the rose gold or personalisation just yet. The personalised stainless steel water bottle is a nice alternative to some of the water bottles that are out there from bigger brands. This one is an insulated stainless steel bottle which is brilliant for hot or cold drinks and holds 500ml. This might be a good one for a work colleague who relies on a cup of coffee to waken them up! The next thing might actually be my favourite. How cool is the Blue WKD clock!? This totally applies to me and some of my girls. They've also got beer, gin and tonic, prosecco and vodka themed ones so there's bound to be one for one of your Secret Santas. A good gift if the budget is £20+. Another home decor gift is perfect for someone who's not long moved into a new house but really it would apply to most people on my list, a Wifi coaster. We got speaking about these at a house warming recently when everyone was asking for the internet password. Rather than passing round the little card that comes in the modem why not have it on a coaster sitting on the coffee table? Love it. My next idea is actually better if you've got a really big budget and you've bought tickets, a getaway or experience. So for example if you managed to buy a Spice Girls ticket when they went on sale on Saturday then get a bauble scratch Christmas card and reveal the exciting news in there. I'm drooling just thinking about the next gift - Edible cookie dough 3 pack. A sweet treat in a Christmas present is always a nice idea and cookie dough is a little different. This might be a good purchase to split up between a few people (or maybe even keep one for yourself!). There's 11 flavours to choose from and even one that's safe for dogs!! S'mores and Unicorn are top of my list. To go from a gift packed full of sugar to a Meal planner notepad seems a little ironic but they're both things I'd totally appreciate. 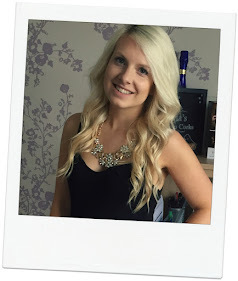 Whether you've got a friend or family member who is following Slimming World, or maybe someone who's trying to get themselves organised when it comes to buying groceries. A shopping list and meal planner is a practical gift that can keep anyone on track.